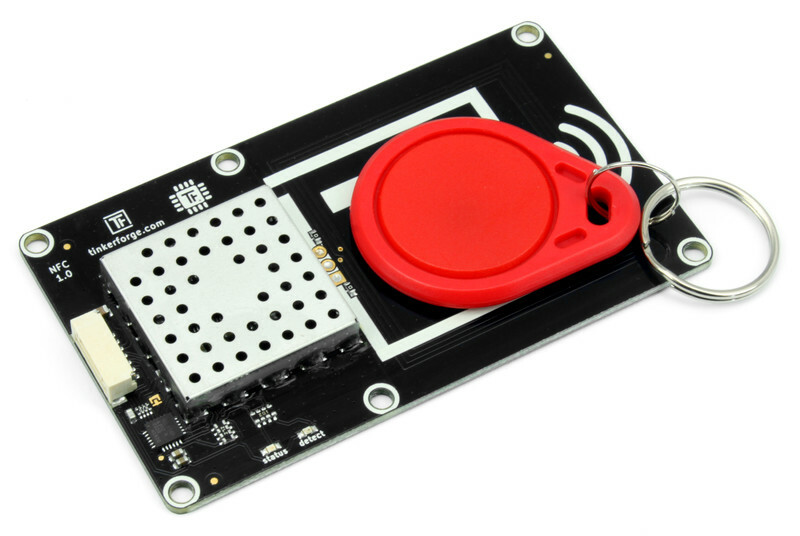 Can read and write NFC Forum Type 1, 2, 3, 4 and Mifare Classic tags. NDEF definitions can be directly read/written with API. 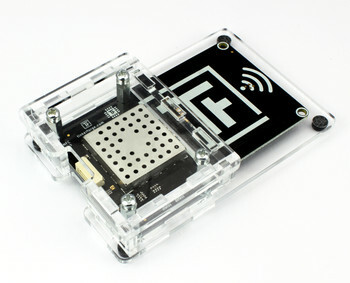 The NFC Bricklet can be used to extend Bricks by the possibility to read and write NFC tags. 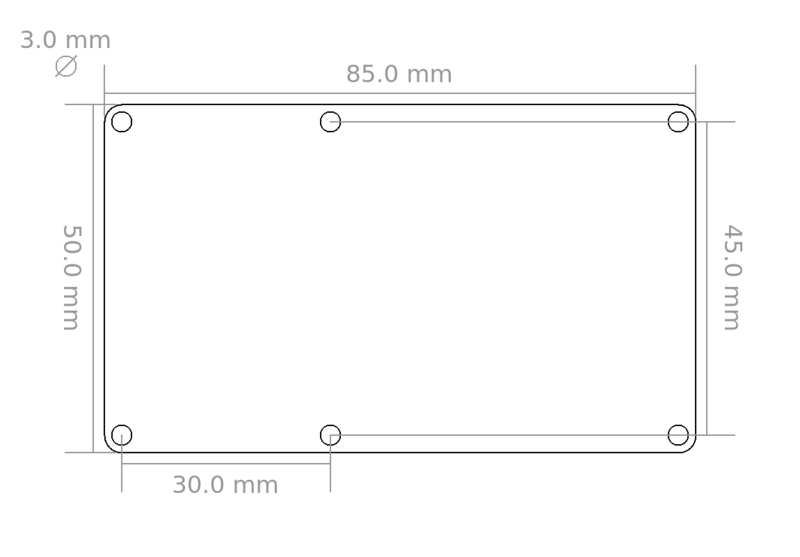 To do this you only have to place a NFC tag in the proximity (up to 10cm) of the Bricklet. NFC Forum Type 1, 2, 3, 4 and Mifare Classic tags are supported. Direct page access is available and it is possible to directly read/write NDEF messages through the API. 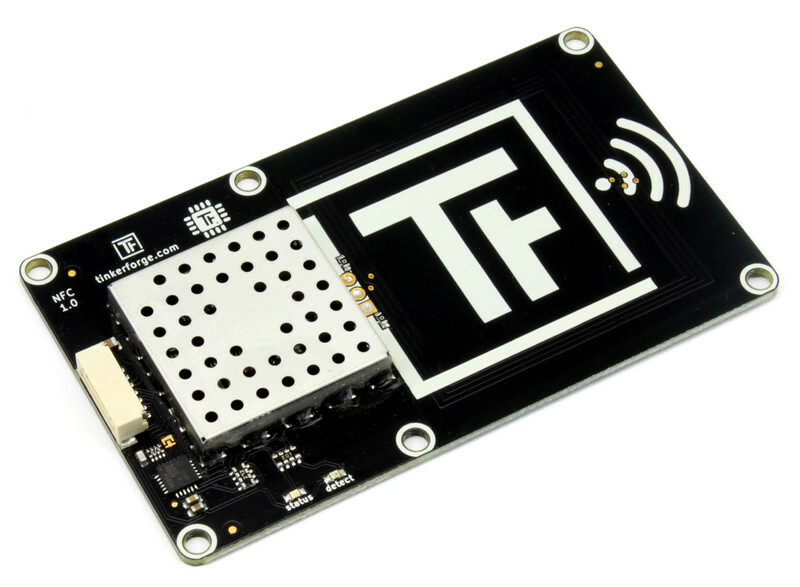 The Bricklet also supports Card Emulation as well as NFC P2P communication. 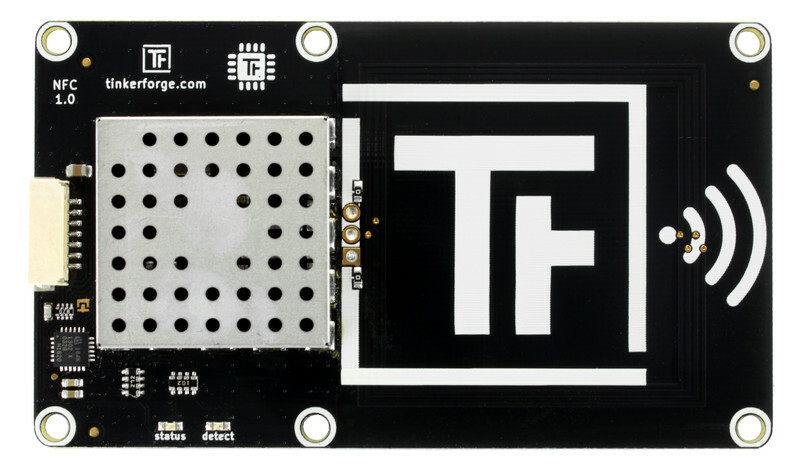 The NFC Bricklet has a 7 pole Bricklet connector and is connected to a Brick with a 7p-10p Bricklet cable. Every smart phone that is capable of NFC can read NFC Forum Type 1 and 2 tags. Most support Type 3 and 4. 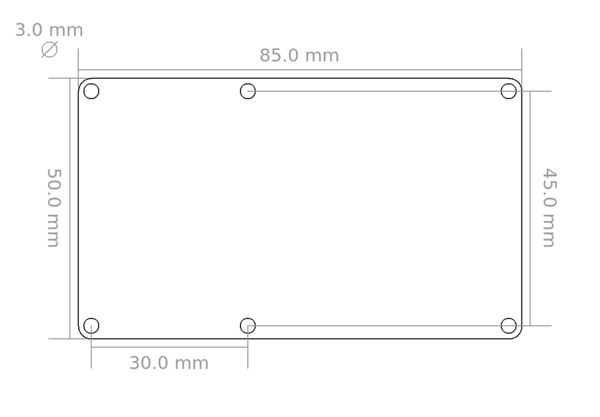 Mifare Classic and NFC Forum Type x tags have different page sizes and a different memory structure. If you use the low level page write functions you have to keep track of this structure to not accidentally lock a tag. Page 0-1 are read only and contains the tag ID. Page 0 contains attribute information. The other pages may be read-only. You can look up if it can be written in the attribute information. Does not have pages, uses a file system instead. Currently we support access to the capability container and NDEF record. Select page 3 to access the capability container. Select page 4 to access the NDEF record. To read or write a tag you first have to change the mode to MODE_READER. To identify and select a tag you have to call ReaderRequestTagID with a tag type (Mifare Classic or NFC Forum Type 1/2). The state of the Bricklet will change to READER_STATE_REQUEST_TAG_ID and then change to READER_STATE_REQUEST_TAG_ID_READY if a tag was found. You can then get the tag ID by calling GetTagID. Now the tag with this tag ID is selected and it can be read or written. If the state changes to READER_STATE_REQUEST_TAG_ID_ERROR no tag with the given tag type was found. In this case you can try again by calling ReaderRequestTagID again. If you know the tag ID of your tag and ReaderGetTagID returns another tag ID it means that another tag is also in the proximity of the reader. In this case you can call ReaderRequestTagID again, the NFC Bricklet will cycle through up to two tags if ReaderRequestTagID is called repeatedly. Therefore ReaderRequestTagID select Tags. To read a page you have to first call ReaderRequestPage. The state will change to READER_STATE_REQUEST_PAGE_READY after which you can get the page by calling GetPage. Writing can be done by calling ReaderWritePage, the writing is finished after the state changes to READER_STATE_WRITE_PAGE_READY. If a tag is selected you can read and write without calling ReaderRequestTagID again as long as the tag isn't removed from the proximity of the NFC Bricklet. Instead of ReaderRequestPage or ReaderWritePage you can also use ReaderRequestNDEF or ReaderWriteNDEF to directly write NDEF messages to an appropriate space instead of low-level pages. This means that every time before you call ReaderRequestPage or ReaderWritePage, you have to call ReaderAuthenticatingMifareClassicPage and wait for the state to change to READER_STATE_AUTHENTICATING_MIFARE_CLASSIC_PAGE_READY. Otherwise Mifare Classic tags can be handled exactly as described above. To use card emulation you first have to change the mode to MODE_CARDEMU. Starting from CARDEMU_STATE_IDLE you can set the NDEF with CardemuWriteNDEF. After that call CardemuStartDiscovery. 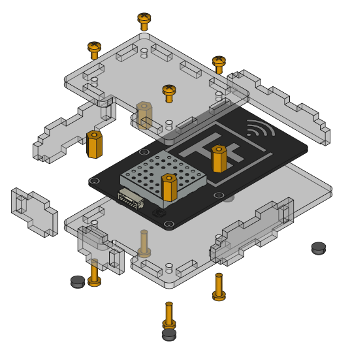 If a phone is now brought near to the NFC Bricklet the state will change to CARDEMU_STATE_DISCOVER_READY. Call CardemuStartTransfer to transfer to previously set NDEF message to the phone. To use P2P you first have to change the mode to MODE_P2P. Starting from P2P_STATE_IDLE you can set the NDEF with P2PWriteNDEF. After that call P2PStartDiscovery. If a phone is now brought near to the NFC Bricklet the state will change to P2P_STATE_DISCOVER_READY. Call P2PStartTransfer with parameter 1 to transfer to previously set NDEF message to the phone or with parameter 2 to read an NDEF message from the phone. In the second case you can read the NDEF message with P2PReadNDEF. 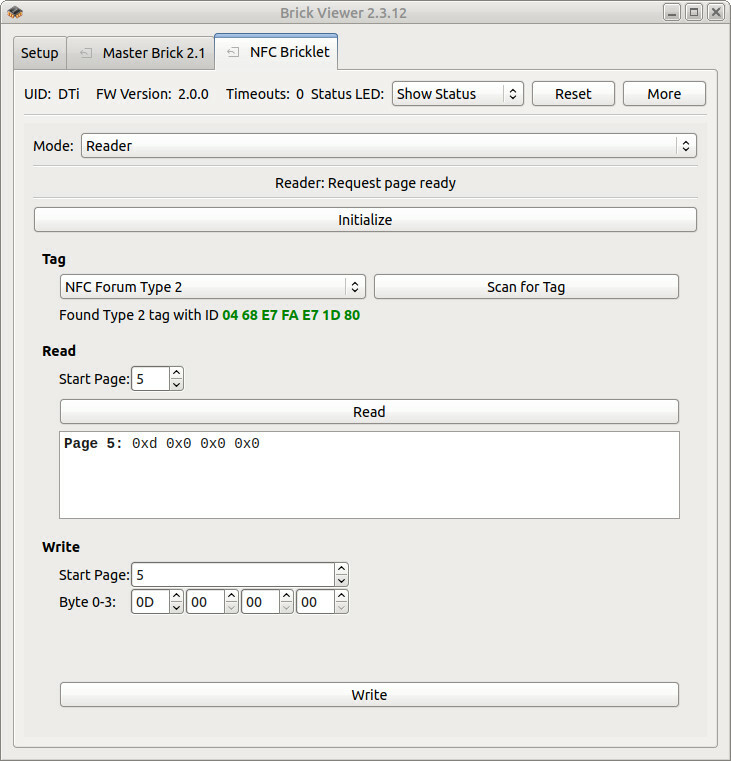 To test a NFC Bricklet you need to have Brick Daemon and Brick Viewer installed. Brick Daemon acts as a proxy between the USB interface of the Bricks and the API bindings. Brick Viewer connects to Brick Daemon. It helps to figure out basic information about the connected Bricks and Bricklets and allows to test them. 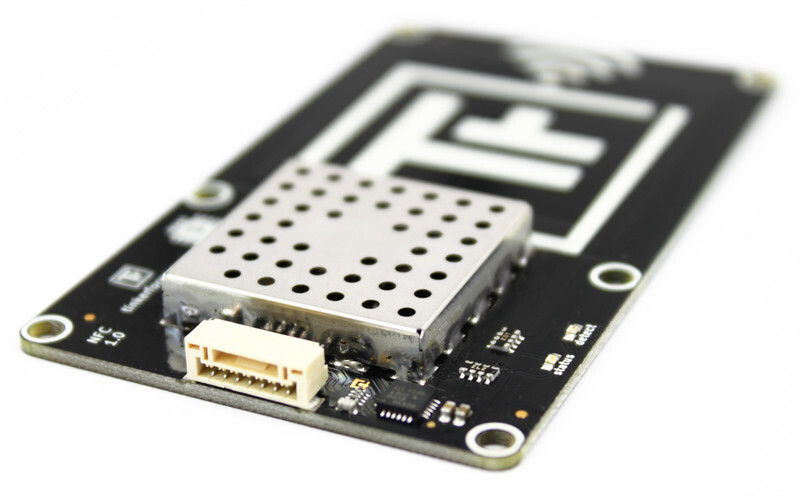 Connect the NFC Bricklet to a Brick with a Bricklet Cable. If you connect the Brick to the PC over USB, you should see a new tab named "NFC Bricklet" in the Brick Viewer after a moment. Select this tab. If everything went as expected you can now scan for tags and read/write pages etc. After this test you can go on with writing your own application. See the Programming Interface section for the API of the NFC Bricklet and examples in different programming languages. A laser-cut case for the NFC Bricklet is available.